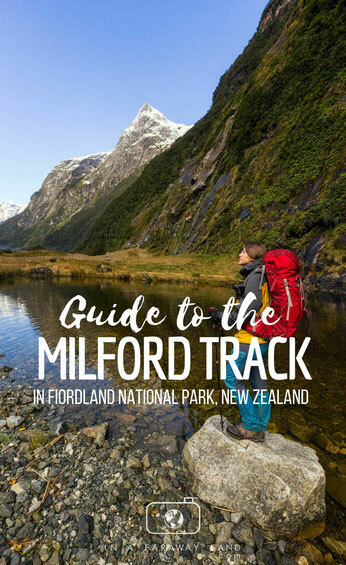 The Milford has been touted as one of the most scenic walks in the entire world. One of the original phrases coined to describe it was, unbeknownst to most potential walkers, “A Notable Walk”. It was the original title of an article published by The Spectator on September 12th 1908. However, the editor John Stracey realised it wasn’t exactly an eye catching opening and changed it to the now famous “The Finest Walk in the World”. Little did he know how much of an impact a 1700 word article sandwiched between the 'Boys Bridage' on page 10 and 'Letters to the Editor' on page 12 would have on the global travel community over a hundred years later. Since then, the bare bones of the track haven't changed much, oversimplified the route still ambles along the Clinton River over the MacKinnon Pass and out toward Milford Sound. What has changed however is the tracks popularity and the facilities provided along the way. Understandably, bookings are very hard to come by. The reservation system for the track opens mid to late June each year for the upcoming hiking season. Most bookings are taken within a few hours and within a week there’ll be next to nothing left. Bookings and mandatory from the end of October to the end of April. Cancellations are always a possibility. It’s common for people not to stick to their original travel plans so by checking the DOC’s Online Booking Portal everyday, you might get lucky, just as I did! 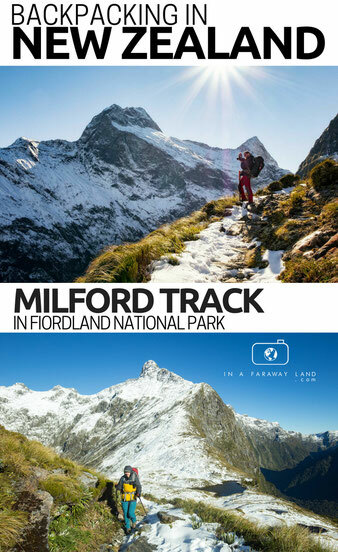 I booked my spots on the Milford Track only 4 weeks ahead of the trek, this is rather unheard of! Hut prices have seen a recent increase and now cost 140$ per person for international visitors regardless of age. For New Zealand residents the prices remains at 70$ per person and it's free of charge for youth under 18 years of age. It is MANDATORY to stay at all 3 huts and the track can only be walked in one direction. The huts include everything you’ll need to ensure a comfortable stay. Flushing toilets, gas, hobs, tables, benches, heating, solar lighting, bunk beds and mattresses. Plus friendly DOC rangers that give informative talks in the evening. Boats transfers are not mandatory but highly advised. It is possible to walk to Glade House over the Dore Pass to start the trail but I’m not going to cover it here because it’s difficult and not realistic for most hikers. The first boat from Te Anau Downs is operated by the DOC and costs 88$ per person. The last boat from Sandfly Point to Milford Sound Ferry Terminal costs 40$ per person. There is not much choice for accommodation in Te Anau Downs, where the boat transfer starts, so most hikers start the day in Te Anau, the nearest town. TrackNet, and many other companies, offer a bus service from Te Anau to Te Anau Downs for 28$. They also offer a service from the Milford Sound Ferry Terminal back to Te Anau for 53$, once you complete the hike. Using these transfers, the total cost of the Milford Track for an international visitor is 629$ and for NZ residents over 18 is 419$. 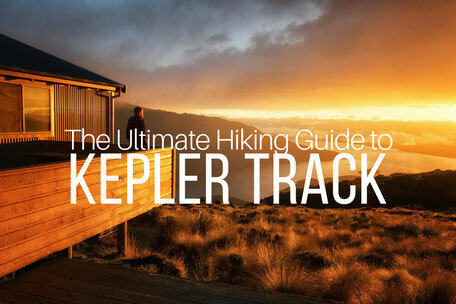 It's certainly not cheap and since the recent price increase and the introduction of the two tiered pricing system I started questioning whether New Zealand's famous Great Walks are really that great. Considering that weather is very inconsistent in Fiordland National Park and it's the rainiest place in New Zealand, paying a few hundred bucks to walk for 4 days in rain (which is not uncommon) can be very frustrating! Both the bus transfers and the boat transfers can be arranged whilst booking the huts on the DOC’s Online Booking Portal. Once you board the boat, you will be treated to a last chance at a free tea or coffee whilst you admire the mountains gliding past you. A tour guide from the DOC tells interesting stories about the initial formation of the Milford Track and of the Maori use of Lake Te Anau. The ride lasts between 1 hour and 90 minutes depending on water conditions. Once you’ve arrived at the Glade Wharf Terminal, the track is through thick native beech forest but is easily wide enough for a small vehicle. It won’t be long until you see the first sign of civilisation in the form of Glade House after around 20 minutes. 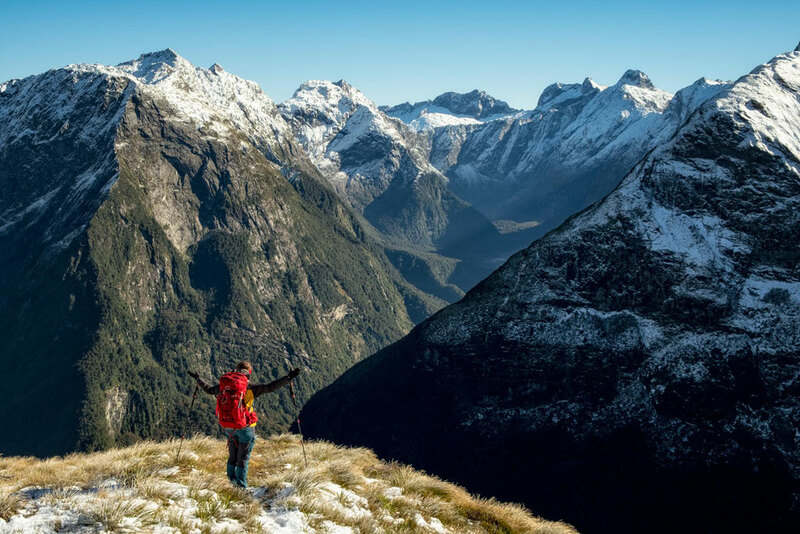 Glade House is the first of 3 backcountry lodges owned and operated by Ultimate Hikes that you’ll come across on the Milford Track. Their facilities are not available for independent hikers. 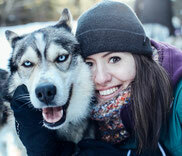 They do offer a fantastic service if you’re looking for luxury whilst on this trail. Their prices start at $2,130 for a 6 bed dorm in low season and range to $3,330 for a single room in high season. 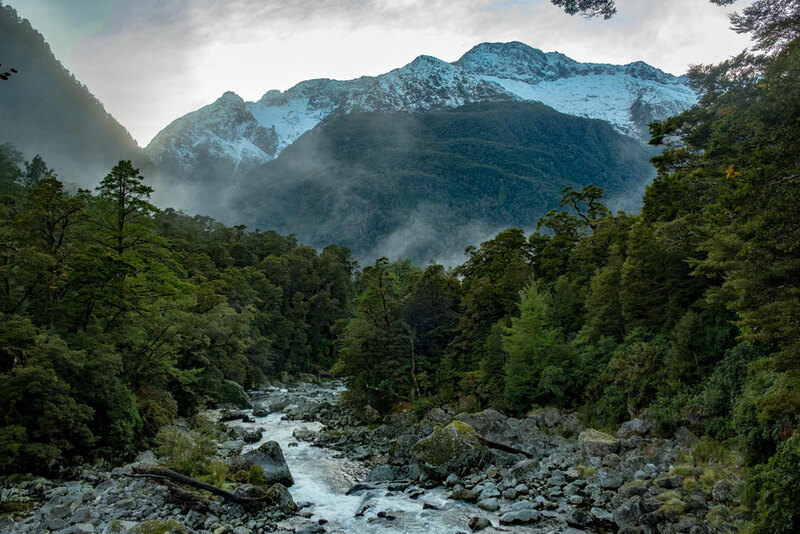 They also offer luxury guided walks staying at their own private lodges along the Routeburn Track. Just past Glade House is where you’ll first see the Clinton River by crossing a picturesque suspension bridge. The track hugs the true right of the river before a short ten-minute extension takes you around the Clinton Boardwalk Trail. A chance to get out of the trees and admire the huge mountains all around you. The Clinton Hut is just around the corner and is where you’ll spend the first night. The track now slowly starts to gain elevation but it’s so gradual you’ll probably not notice it until you’re past the 'bus stop' - a prominent spot along the trail. Before you get there though, you’ll have the opportunity to take several quick detours to Hidden Lake and other small reflective tarns. They hardly add on any time at all and you’d be mad not to go and see them. The bus stop is situated just before a tributary to the Clinton River that is prone to flooding over a small boulder field/avalanche path. Water can often come above the bridge and the boulder field becomes unsafe to cross. If this is the case, you will have to wait at the bus stop. Do not expect a bus to come though. It’s only called that because it looks like a bus stop and it’s where you wait for the water level to drop. As the wide valley begins to tighten, the trail starts to gradually climb up hill and you’ll start to notice the gain in elevation. Not after long you’ll arrive at Mintaro Hut named after the nearby Mintaro Lake, the source of the Clinton River which has been on your right hand side the entire day. If the weather is good, drop your bag at the hut and head up MacKinnon Pass. You will be walking over it the next day but if the weather is cooperating this may be your only chance to see the pass in all it's glory. Trust me, it's worth the extra effort. If the forecast however looks good for the next day you can just spent an afternoon hanging out at Mintaro hut and exploring its surroundings. The third day on the Milford Track is undoubtedly the hardest. Shortly after you leave the Mintaro hut the route steepens. Over just 15 switchbacks you will gain 500 meters of elevation until your reach the most scenic part of the track, the MacKinnon Pass. A tribute to Quintin MacKinnon for pioneering the Milford Track stands on the pass. Contrary to popular belief this is not the tracks highest point. Take in all the expansive views of Mount Balloon, Mount Hart and an amphitheatre of other peaks around you. 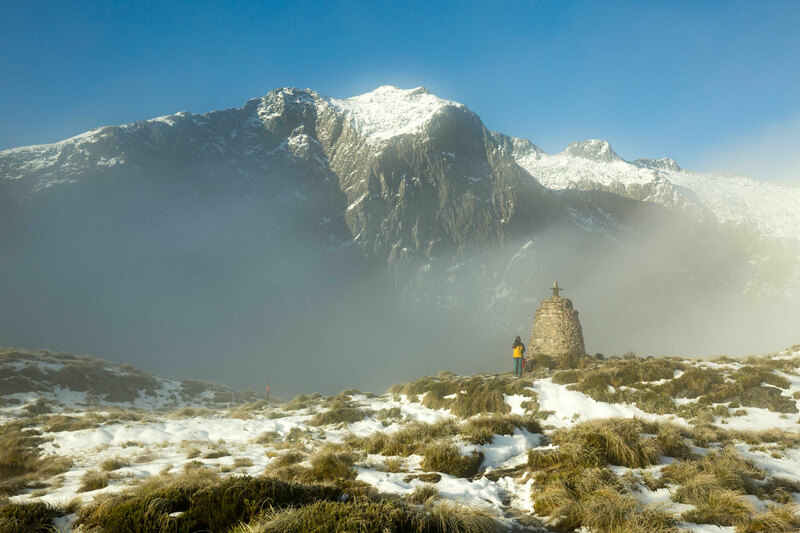 The elevation of MacKinnon Pass is debatable as it depends whether you accept the exact location of the pass to be the memorial at 1080m, the highest point of the Milford Track at 1154m or the MacKinnon Shelter at 1105m. Several tarns adorn the pass and make for great photographic opportunities until you get too cold or tired with the usual winds that are funnelled into the area. To give you an idea of how strong they can be, in the past the winds have blown off the previous MacKinnon shelters right off their foundations! This is the 3rd MacKinnon Shelter. The MacKinnon day shelter offers a break against the elements and an opportunity to go to the toilet. It’s one of the most photogenic mountain huts in New Zealand and has gas, two hobs and seating. After the thrill of the pass the trail starts to head downhill. If the track is snowy, icy or flooded you may have to use the emergency track which is similar aesthetically to the normal track but a little steeper. The ranger in the hut will notify you on the previous day which track you're supposed to take. The track then joins the Roaring Burn and several waterfalls can be admired until wooden staircases take you down to Quintin Lodge. An extension to the base of Sutherland Falls starts here and adds another hour to 90 minutes to the day. Sutherland Falls is the largest waterfall in New Zealand. It cascades over 580m over 3 distinct drops. At Quintin Lodge, Ultimate Hikes very kindly permit use of their outhouses and also offer free tea, coffee and other drinks for the tired hikers! I may or may not have drank 3 cups of hot chocolate whilst resting before the last stretch for the day. You’ve now completed all of the major elevation changes of the trail and can expect a mostly flat walk all the way to Sandfly Point, but first a cosy night at the Dumpling hut awaits you. From Quintin Lodge it’s another 45 minutes-1 hour to Dumpling Hut, your third and final hut on the Milford Track and my personal favorite along this trail. Whilst being the longest day on the trail, this 4th day isn’t too difficult. It’s mostly flat along a wide well-maintained gravel path. The track now follows the true right of the Arthur River until you reach the boat shed where you’ll cross another suspension bridge over to the true left. A short 1 minute extension is now available to see the Bell Rock, an interesting formation that you have to duck inside to fully appreciate. Mackay Falls, pictured above, are also worth your attention. Your next significant viewpoints come in the form of Giants Gate waterfall. Right next to the falls is a sheltered area where you can have your lunch. After the Giants Gate waterfall the path joins Lake Ada. This part of the trail was constructed by a prison labour gang between 1890 and 1892. You can even spot where some convicts signed their hard work into the rocky cliff. In two years they managed to build 3km of trail as the weather, mud, sandflies were so atrocious, it hindered their work significantly. That's only 4.1 metres a day! Plus I imagine the prisoners weren't paid very well (or even at all) and weren't too keen on straining themselves. Once you’ll reach the shelter at Sandfly Point resist the urge to put your backpack down and sit down. The finish to the Milford Track is another 50m away, so drop your bag, complete the trail, give yourself a high five and then go back and wait for your boat transfer. The boat ride takes around 10 minutes and offers views into Milford Sound, one of the most photogenic places on the South Island! 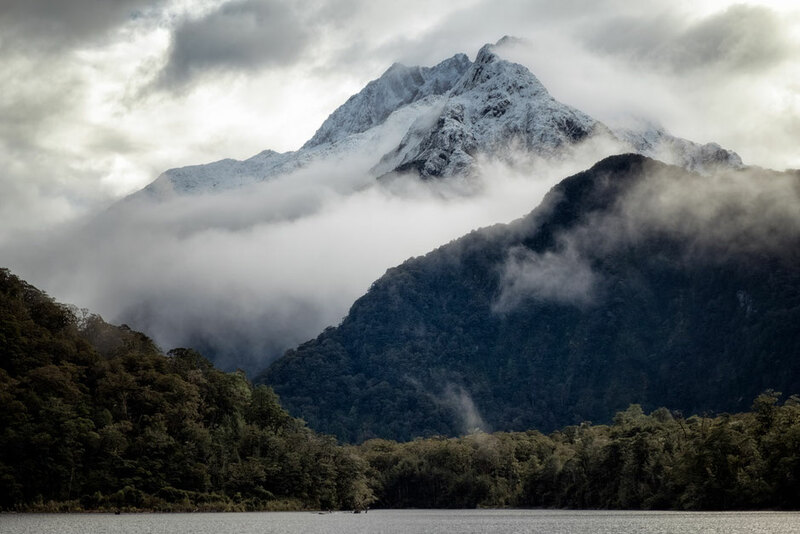 The Milford Track is certainly one of the most iconic hikes on the face of the Earth. All together it’s a 53.5km of pure bliss. What makes it unique is that the track can only be walked in one direction. 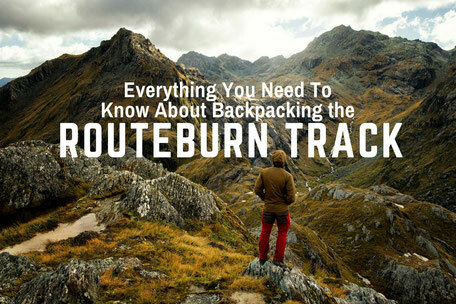 Combined with the heavily restricted spots in the huts, this dramatically reduces the amount of people you’ll bump into on the trail, making it feel quieter and more secluded. I wish this was enforced on more Great Walks such as the Kepler or the Routeburn track. The Milford Track is also the only Great Walk where camping is 100% prohibited. 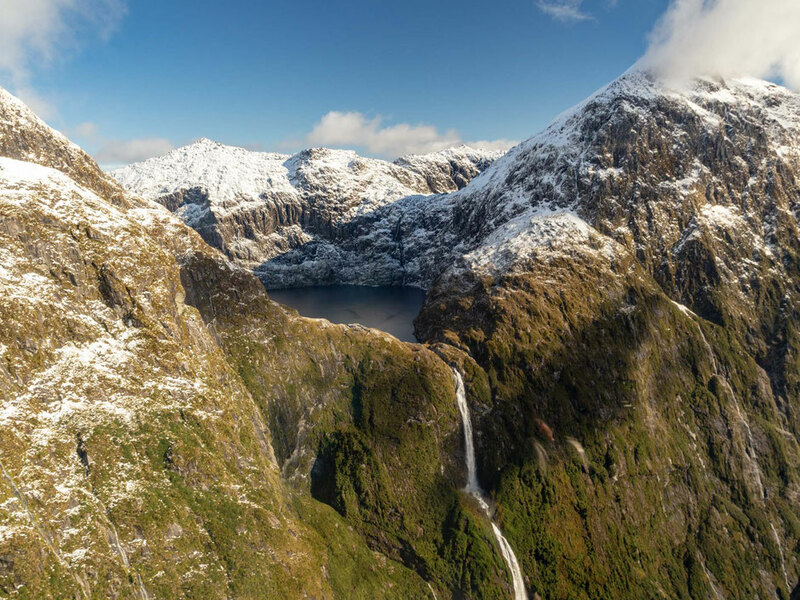 If for whatever reason, you can’t walk the Milford Track, consider hiking either Lake Marian or Gertrude Saddle, two of the best day hikes on New Zealand’s South Island, and you’ll still have a well formed picture of how beautiful Fiordland National Park is! Fore more info on travelling and hiking in New Zealand visit my New Zealand Travel Guide. 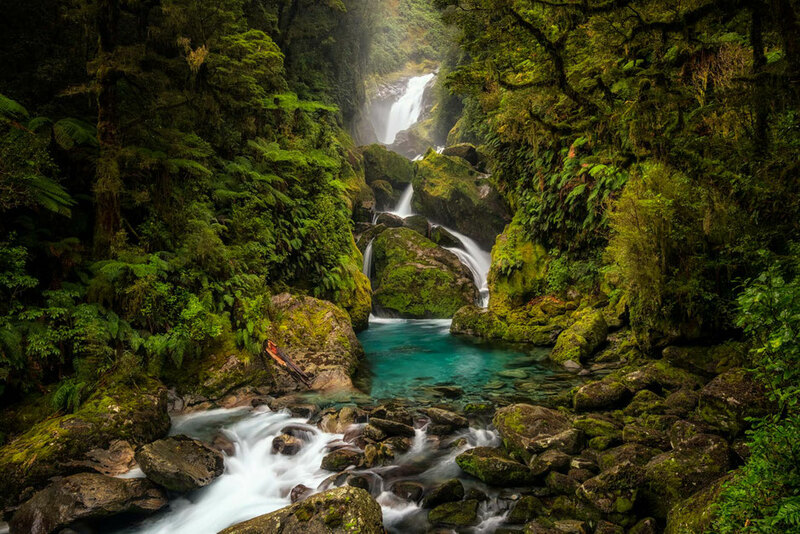 If you feel like there is something I haven't covered and have more questions about backpacking the Milford Track leave them in the comments below. I always answer.